A way out of feeling tossed by the storms of life, Boundaries offers a path to taking back control or a busy, and worrisome life. The full-size edition of this inspiring Zondervan title has sold nearly 1 million copies. The Gold Medallion award-winning Christian book, by two psychologists who've written a number of self-help guides, offers a realistic, compassionate plan for setting healthy boundaries with family, friends, and co-workers. 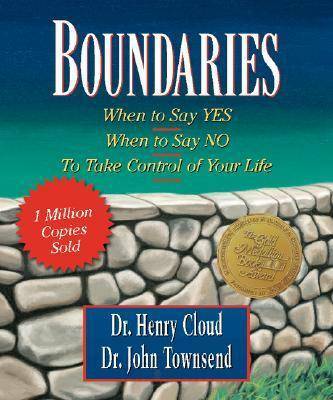 Boundaries (Gift Book) by Henry Cloud;John Townsend was published by Perseus Running Press in August 2004 and is our 14765th best seller. The ISBN for Boundaries (Gift Book) is 9780762421022. Be the first to review Boundaries (Gift Book)! Got a question? No problem! Just click here to ask us about Boundaries (Gift Book).